When opening or adding to a precious metals IRA, most people initially consider investing in gold. This makes sense, as gold is the commodity that gets all the headlines and offers numerous benefits, including consistently good returns over the long term. 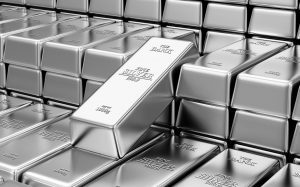 The spot price of silver is significantly lower compared to gold and platinum, giving investors an affordable way to open a precious metals IRA and begin saving for retirement. Silver prices are expected to rise throughout the remainder of 2016 due to the weakening dollar, which makes this an ideal time to buy. Industrial demand for silver (for use in consumer electronics, medical equipment, glass, and other common products) is also on the rise and will help drive up prices even more. Along with increased demand, the supply of silver is contracting as mining operations around the world slow their output. The gold-silver ratio, which indicates how much silver is required to buy an ounce of gold, is trending downward and currently sits at 67. The smaller the ratio the better for silver buyers, so this is another positive sign for investing in this precious metal. Since the spot price of silver is relatively low right now compared to historical values, there is plenty of room for future growth. Just as with gold, any silver bullion purchased for a precious metals IRA is a tangible, physical asset with a lasting presence that cannot be compromised by hackers or computer malfunctions or instantly devalued by governmental collapse. Silver provides investors with an inexpensive means of diversifying their portfolio as a protective measure against market volubility. If you’re interested in opening a precious metals IRA but don’t have the funds required to buy gold, consider starting with silver instead. Silver offers many of the same advantages as gold at a far more affordable price, so place your order with American Bullion today.